Finding the right memento or special keepsake for a child can be overwhelming. Books are great, because they are practical and of course educational. Personalized books? Now there’s an even better idea. We received a complimentary Wondrous Ink book in exchange for this honest review. A company called Wondrous Ink first began with a husband and wife team who wanted to bring the magic back to children’s books and by doing so engage children in reading and learning. This team, along with a children’s author and a psychologist turned illustrator created a personalized book called Wondrous World. Their Wondrous World book uses the letters of a child’s name to create a unique story for young readers to enjoy. 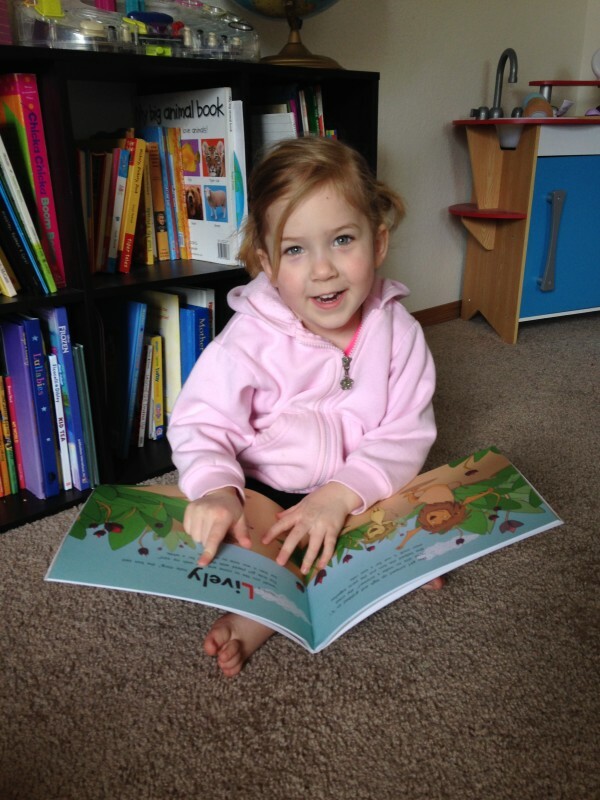 Each Wondrous World book is 26 cm wide by 23 cm tall, and the length depends on the number of letters in a child’s name. You have the option of including a personalized message on the inside cover of the book as well for no additional charge. In addition to this, each book comes in special packaging addressed to the intended child. 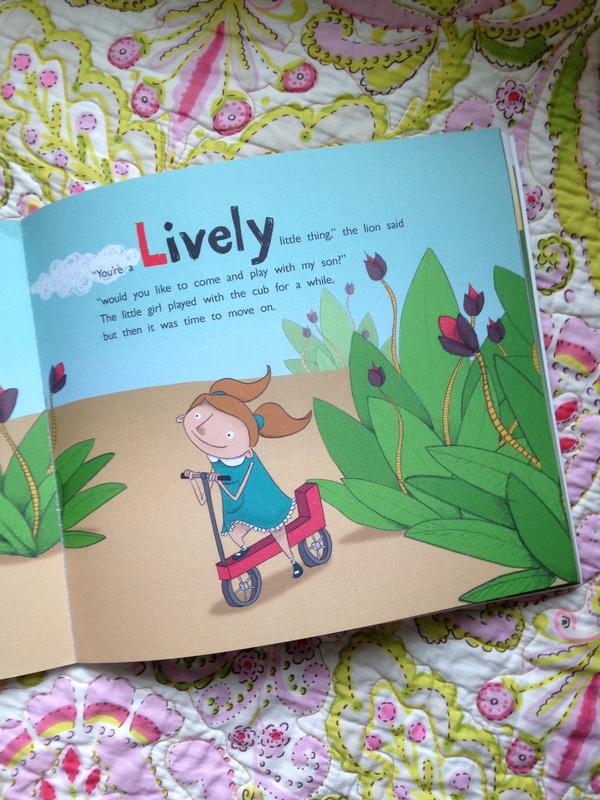 Violet’s book, The Wondrous World of Violet was delivered in a bright red package with her name on the label. She was excited to receive something special in the mail, but I didn’t reveal right away that it was a book all about her. It was really sweet watching her reactions as we got closer to the end of the book and she realized the main character’s name was the same as hers. We both really liked the story and colorful illustrations. My son has personalized book made by another company but the Wondrous World book seems higher quality. The pages are thicker than regular paper and the storyline was well written. We’re currently working on helping Violet identify and spell her own name, so this book is a great way to help her with that. There’s even a special keycode at the end of the book with a link where we can go online and read an extended ending to the book and Violet can take a quiz about the story. The Wondrous Ink website notes that the books are intended for children ages 2 to 8, but that they could also be a keepsake for newborns. These would make a great personalized keepsake to give to any child. 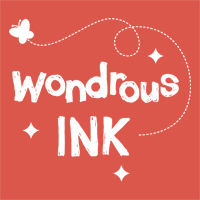 You can head over to www.wondrousink.com to purchase a Wondrous World book for $29.99. NEW: Want to save 15%? Click HERE and use the coupon code shown. This is an affiliate link, which means we earn a small commission if you buy through it. 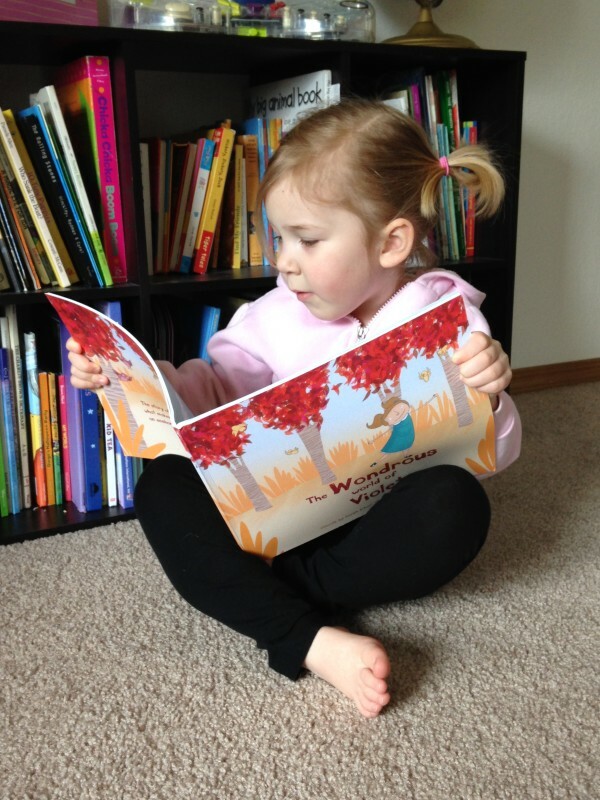 I ordered a book on line in around May 24, 2015 for my granddaughter. The payment was received and taken out of my account on 5/30/15 for $36.98. I have NOT received a book!! Today is June 1, 2015. My name is Lynn Coulter, address 919 Fenley Ave., Louisville, KY 40222. Hi it says here the books are $29.99 yet when I go to order they are $39.99 ????? I ordered a book for my grandson on the 7th of December, payment was taken from my account on the 10th. it was to be delivered by the 23rd. I still has not been delivered, and none of my emails have been answered.. and they do not list a phone number in their contact information..If anyone has any contact information other than the email would you please share it. Hi Ann, I’m sorry to hear about your troubles with the book company. However, I’m not the company. 🙂 This is just a review of the book, and I assure you, you haven’t emailed or spoken to me about any of this because I have no control over the company that sells the book. I hope you are able to get it resolved!